Home > News > Podcast > Episode 1: Is An MBA Worth It? On the very first episode of The Business School Question, we ask Gareth Howells—director of MBA, Master’s in Finance, and early careers programs at London Business School—Is an MBA Worth It? LISTEN TO OUR PODCAST. SUBSCRIBE, RATE & REVIEW IT ON iTUNES. We’re giving away $100 in Amazon vouchers to one of the first 50 people to subscribe, rate, and review The Business School Question on iTunes. To do so, you can download our podcast on iTunes. On your iOS device: Open the Podcasts app, then tap browse at the bottom of the screen and type in The Business School Question. Please send your contact details to info@businessbecause.com after your review. 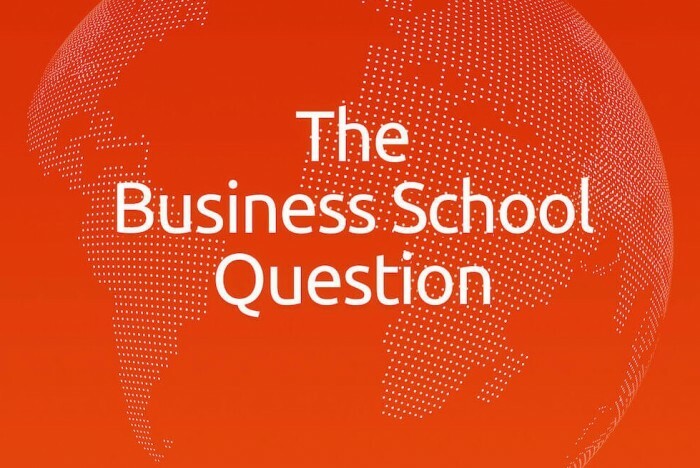 On the very first episode of The Business School Question, we ask Gareth Howells—executive director of MBA, Master’s in Finance, and early careers programs at London Business School—Is an MBA Worth It? At LBS, the full-time MBA costs just over $100,000 in tuition alone. At Wharton, two years of MBA study will set you back over $150,000—that’s before living costs, travel, health insurance, bar tabs, and all the rest of it! We explore whether an MBA really pays off in terms of return on investment, what else an MBA gives you, and when an alternative, more affordable program might be a better option.